Great food and exceptional service. Cruise with us on the Nepean Belle Paddlewheeler. At the Nepean Belle we are well known for our fresh, sumptuous meals. Whether your cruise is for a birthday party, an anniversary dinner, wedding reception, hen's night or a children's party or you are onboard to enjoy a Nepean River cruise, you will be delighted by our river cruise menus. Dining aboard the Nepean Belle is unlike any other dining experience in a restaurant - your views change constantly and you have the tranquility of the Nepean Gorge and Blue Mountains National Park to accompany your meal. If you’re interested in seeing our Wedding Packages please click here and for Engagements, Birthdays, Anniversaries and other private charter packages please click here. 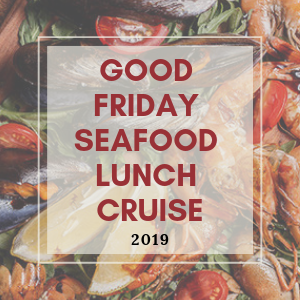 Our 2-Course Lunch Cruises are a great way to spend an afternoon with family and friends or come for a fabulous Dinner Cruise - 3.5 hours cruising, 3 courses and Dancing! Sydney Summer and sure to please the fussiest of eaters! all enjoyed on a beautifully warm centrally heated Belle! enjoy your winter lunch cruise in centrally heated comfort on board the nepean belle. watch the afternoon slip by with wonderful fare and enjoy a different perspective of the nepean river. enjoy a hearty winter dinner cruise in cosy, heated comfort on board the nepean belle. the perfect time to afternoon slip by with wonderful fare and enjoy a different side of the nepean river. July is Yulefest on the Nepean Belle! Are you used to a cold Christmas? Join us for our Yulefest Lunch Cruises where you will enjoy sumptuous fare on a toasty warm Belle complete with Christmas decorations and Christmas Carols. the belle is dressed in her festive attire and the carols are playing - but it's july! come along and enjoy the festivities in the middle of the year! Treat your Mum to a leisurely, late afternoon cruise along the Nepean River into the nepean gorge. all Mums receive a complimentary glass of Sparkling Wine! Treat your Mum with a leisurely, late morning or early afternoon cruise along the Nepean River featuring the spectacular landscape of the Nepean Gorge. celebrate new years wining, dining and dancing the night away whilst cruising the nepean river. Christmas Season on the Belle runs throughout November and December each year. We do GREAT Christmas parties, a fun night out for Corporate Christmas Parties, Family Christmas Parties and Social Group Christmas Parties. You really can’t beat the Nepean Belle for great value for money! A relaxing way to spend an afternoon, our lunch cruises include our captain's commentary all about the river and the penrith region. prepare to be surprised! JOIN US FOR A FABULOUS CHRISTMAS DINNER CRUISE FEATURING WONDERFUL CHRISTMAS FARE WHILE YOU CELEBRATE THE CHRISTMAS SEASON WITH COLLEAGUES, FAMILY AND FRIENDS. Can't see a menu? We may still be giving it a polish! Please call or email us to find out where we're up to.